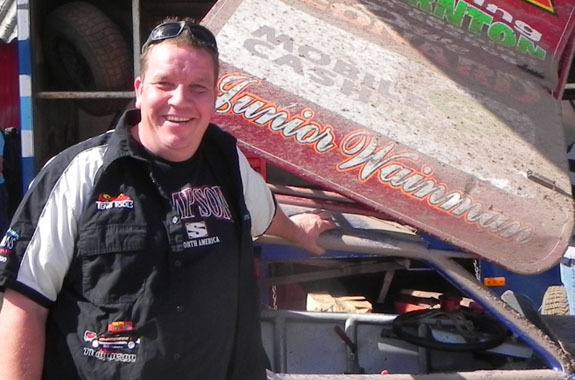 Thornie has been helping the Wainman team since 1987. In 1989 Thornie decided to have a go himself, sporting number 131, and after 8 meetings he won Novice Of The Year. Thornie is a great asset to the team, travelling from his Liversedge home 45 minutes away twice a week to help Frankie work on his cars and on others. Thornie also shares the driving with Frank and often drives home so Frank can take a break. Thornie is well known for being a great dancer and never fails to turn heads when he’s on the dance floor! He is also very good at golf! Former F1 driver Norm (329) is the son of veteran F1 driver Andrew Brighton (44). 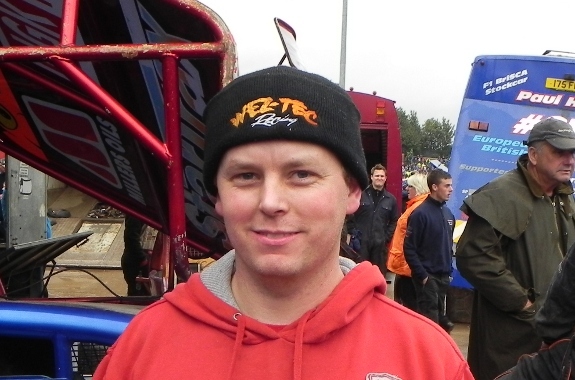 Norm first joined Team Wainman in 1995 at the tender age of 22. Norm is Frank’s right hand man, he is there for 90% of the meetings to help Frank with car set up. Norm is from a wonderful family from York who in turn have all been there for us in many ways, offering all types of help when ever it’s been needed. Anyone who knows Norm will be able to tell you he has the funniest laugh ever! Jim has been with the team for about five years. His involvement comes from working at Firow Municipal Vehicle Hire, who are a main sponsor of Frankie, and also help out Dave Willis (337) and Dave Riley (422). 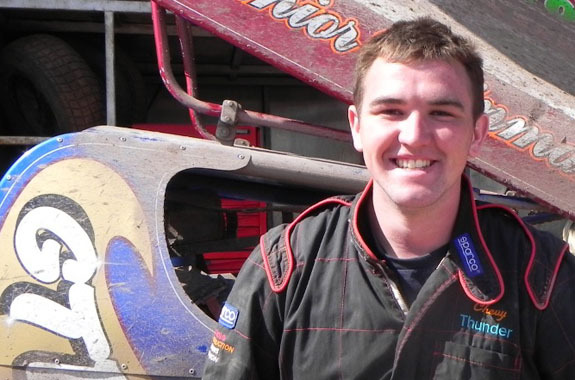 The Firow connection comes from the company director being ex-driver Paul Rowley, who raced a car built by Frankie Senior. Jim also runs Congleton Propshafts, who supply propshafts to a lot of stock car drivers. As well as helping out on race days, Jim travels up to the workshop on Thursday evenings. 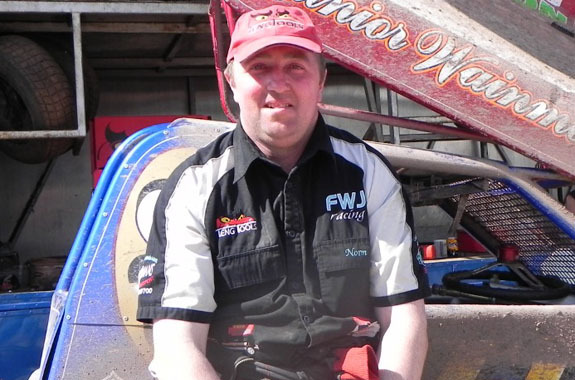 Wez is our newest crew member, and is a former racer of F2, bangers & Reliant Robins. He started mechanic for us in 2009. Wez and his girlfriend Vikki are a valuable couple to our team. 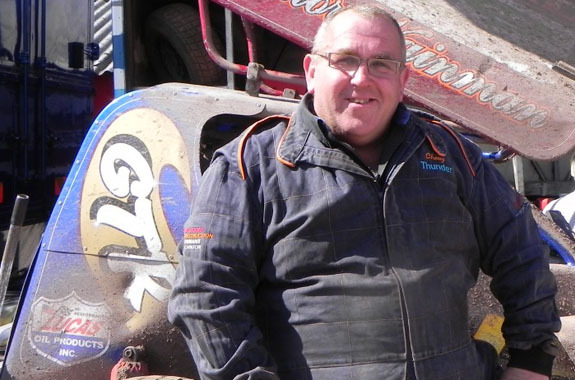 Not only do they mechanic for Frank, they also take care of Phoebe and Frankie when they race their Ministox, sometimes taking them to meetings that were unable to attend. They have become great friends to us all and we appreciate them a great deal. Michael has been with the team for about three years. His family construction business are a sponsor of Daniel.